Divorced parents almost always find the issue of co-parenting as one of the stickiest challenges of all in their new and uncharted relationship. In virtually every case, children suffer as the result of a divorce. They feel torn between two parents and the parents’ now separate lives. Mom and dad often struggle with feelings of competitiveness, frustration, and misunderstanding. Additionally, co-parenting in two different households was not what they signed up for when they decided to have kids. Everything about the co-parenting relationship is fraught with challenge. And yet, in many cases, parents and children adapt to the change and find a way to successfully co-parent after a divorce. Whether the parents have joint custody, or whether one is the custodial parent and the other is not, some careful planning and an effort to put the good of the children first can help create a more amicable and successful experience with co-parenting. 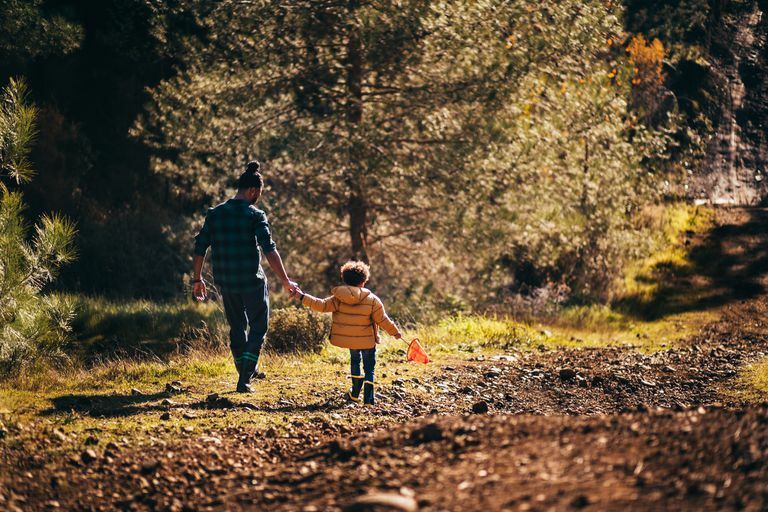 Fathers often have a particularly difficult time because they are usually the non-custodial parent and operate at a disadvantage based on the custody arrangements mandated by the courts. They frequently have the kids far fewer hours in a week than the mom does, and thus feel that they have to make the most of the time they have with the kids. The pressure to keep the kids connected with them when they suffer from a time deficit can be enormous. Successful co-parenting relationships can be achieved when both parents follow a few simple rules. Many co-parenting fathers suggest that this is the most important rule. Many marriages fall apart due to poor communication patterns, so often divorced parents struggle with being good communicators. For the sake of the kids, co-parents need to create much more open and productive communication skills and patterns. They need to talk to each other and use multiple communication channels including talking on the phone, interacting face to face, communicating by email, and by texting. Of utmost importance is to communicate directly with each other and not through the kids. “Tell your mom that…” should be banned from any co-parenting father’s vocabulary. Quite often, the challenge of co-parenting can lead to further legal action. Fathers need to document every interaction with the co-parenting mother with date, time, content and a list of anyone else who witnessed the interaction. Keeping careful records in a timely way helps keep everyone honest and accountable. Kids thrive on consistency and find themselves anxious when things don’t go according to plan. Co-parents have to work especially hard to keep schedules real and consistent. If dad has the kids on Wednesday evenings and every other weekend, put the children’s schedule first. If there are unavoidable conflicts, try to address them as far in advance as possible so that everyone can plan ahead. The more both parents keep with the pre-determined schedule, the less anxious the kids will be. Too often, fathers tend to overreact to a situation that surprises them. Keep an even temperament, even when mom does something that irritates you. The world won’t come to an end for you or for the children if mom forgets to invite you to an event or is a little late for a child exchange. Communicate your frustration — just not in front of the kids. Moms and dads often have very different parenting styles, and occasionally (or more often) you may disagree with what the other is doing with the kids. If you have such a disagreement, deal with it in private and not in front of the kids. If the children see Mom and Dad as loving and supportive of them (and each other), they will feel more secure. Don’t put the kids in the middle of your disagreement or sabotage the other parent with the kids. When mom and dad meet to drop off or pick up the kids, make it as easy and perfunctory as possible. Avoid any drama at exchange time. For example, don’t bring your new girlfriend with you to pick up or drop off the kids. Don’t try to talk to Mom about a sensitive issue — save that for later. When you do something fun with the kids, or if there is a particularly cute moment, snap a picture and text it to your ex. Often she will really miss the kids during your time with them, and a quick text, photo, or video can help with her anxiety about the kids when you have them. If you do that, she will be more likely to reciprocate when you need it most. Many parents with custody arrangements have a parenting plan that is approved by the courts. If you have such a formal plan, follow it religiously. If you don’t, create one of your own after a careful and collaborative process so that both you and your ex-spouse know what to expect of the co-parenting arrangement. Talking about the hard things before they happen can make a big difference in how things go in the daily process of managing co-parenting. Most co-parenting families have a struggle when scheduling breaks down. Deciding on a common online calendar that syncs with your personal calendar can avoid a lot of conflicts. If you share details about important events like recitals, school concerts, dances, and parties, you can avoid disappointment and loss of trust. Put all your stuff on the shared calendar, and then she and the kids can be aware in advance of scheduling issues. One of the most common complaints of co-parenting moms is that all dad does when he has the kids is have fun. She has to carry the burden of school schedules, homework, chores and extracurricular activities. Make sure when you have the kids that you have a nice blend of exciting moments and boring moments, fun and chores, weekend activities and more mundane stuff. Keeping the balance with help avoid jealousy and competition, neither of which is good for the kids or the co-parents. Remember — it is all about the kids and not about you and your ex. As you both put the kids first, act with respect and courtesy, and create new relationships of trust, the co-parenting experience can be a positive for you and for your children.